Make in India is an initiative taken by Honorable Prime Minister of India Mr. Narendra Modi. He launched this program in 2014 to set India as one of the smartest and most developed countries of this world. The main motto of this program is to present India as a leading hub of manufacturing sector in the current global economy. The reason for taking this initiative is to augment the overall ranking of Indian economy and to enhance the growth rate of India’s products. There are many sectors that come under this program and construction & infrastructure is one of them. There is an aim of making as much as possible smart cities in India with the finest and most developed infrastructure so that the people can have a better lifestyle there. India is always considered as a profitable market for various global businesses. Now, with the launching of this Make in India program, it is tried to make the nation one of the biggest manufacturing hubs also. To obtain success in this matter, it is mandatory to grab the attention of national and international financiers as well as partners so that the Indian manufacturers will never face the shortage of capital for their businesses. Before moving forward with the initiative, it becomes crucial to ensure proper and timely investment of money for the projects. Construction sector in India is one of the leading areas of businesses in the modern time. There are many construction houses that are contributing their expertise in making Smart Cities in various parts of the country. The Make in India project is helping them a lot. Indian construction sector contributes almost 8% of the GDP of India. This can be projected through the last five years estimate that starts from 2006-07 financial year to 2010-11 financial year. The construction sector is considered as one of the leading areas of business and financiers prefer to invest almost $650 billion in urban infrastructure over next 20 years. The overwhelming demand for average to high-class real estate and infrastructure projects in one of the reasons for the growth of this sector of business. 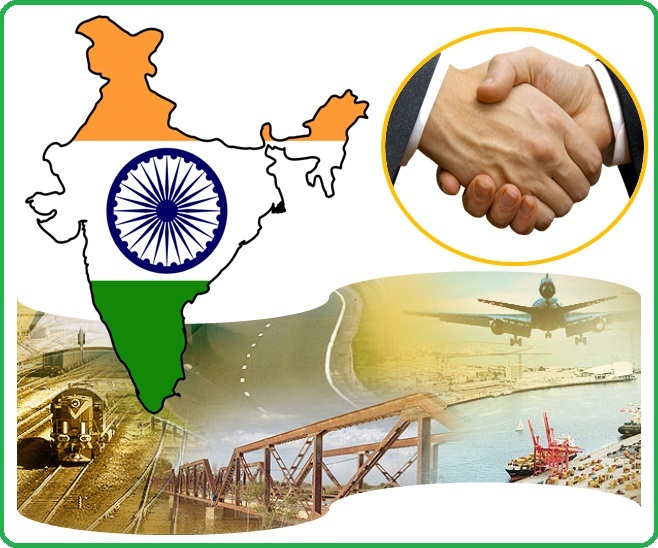 Moreover, the support and campaign from Government as a part of Make in India project can make it easier for the construction enterprises to earn a good amount of profit. They can easily get the support of the foreign investors as well as partners and fulfill the dream of achieving a great ranking in the global market. There are some of the large government real estate projects that provide big support to the construction and infrastructure industry. They offer significant support to the growth. In India, construction projects are one of those sectors where 100% FDI through automatic route is approved by the government. However, there are some conditions that have to be followed to get that investment. Such huge support of government and its policies can bring immense fortune for the construction and infrastructure industry in India. This entry was posted in Concrete Construction Solutions Provider by Mitul Patel. Bookmark the permalink.